At AirZone, our most popular boilers come from our major supplier Bosch. The products we recommend are a great balance between efficiency, longevity, and performance, and also come with a great warranty! 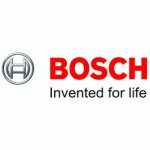 Click on the Bosch logo to visit their website (opens in a new window), download product brochures, and to view more information about the great quality boilers available to us. Our Bosch boilers offer the best warranty in the industry – A limited lifetime heat exchanger warranty and limited 5 year parts warranty. We make sure to choose suppliers that back up their products for our customers! It’s just one of the differences you will find when you choose AirZone HVAC Services for your boiler needs. With our energy efficient boilers replacing an old boiler can really save you a lot of money on your utility bills. Bosch boilers also offer an extremely quiet operation due to special insulation. The Greenstar line boasts an AFUE of 95%, meaning that almost all of the fuel is converted into heat. Our new boiler products are tankless systems that do not require the large drum typically found in Ottawa households. Since our Bosch boilers act as both a hot water heater and home heater, you receive all of the benefits of a tankless hot water heater product. Because instantaneous tanks are extremely efficient, you will receive energy saving benefits specifically for hot water heating in your home (not heating purposes). This helps to offset the increased cost of boiler heating use. Tankless hot water heaters have many benefits over conventional hot water heaters since they take up a lot less space and are usually wall mounted, provide exceptional efficiency, and provide a continual supply of hot water that does not run out. The units operate on demand so no energy is wasted when it is not needed. If you currently have a boiler installed in your home that is older than 10 years, we encourage you to speak with us about a new tankless boiler product. There are many options for switching fuels and products that will really help you save money every month on your utility bills. Oftentimes, boilers also qualify for government rebates. This can also help to offset the purchase cost of a new boiler product. The Canadian Government wants to encourage green products that reduce a homeowner’s energy footprint. They regularly offer incentives to help accomplish this goal and it is an important consideration when choosing a new boiler heater. We often speak with consumers who are confused as the the differences between a boiler and a hot water heater. A hot water heater comes in two forms: a tank heater or tankless product. With a tank heater, water is warmed by utilizing electric heating coils within the drum. This warms the water up and maintains it at a temperature set by the hot water heater’s thermostat. With a tankless hot water heater, water is passed through the unit on demand. It is heated as it passes through supplying a continuous flow of hot water that does not run out (assuming that the volume of hot water is sufficient for all open faucets, showers, etc.). A boiler is different in that it actually boils that water to produce steam. Steam is a very effective means of heating your home and is easier to pass through pipes due to it’s density versus water in liquid form. A boiler is also capable of replacing the need for a hot water tank. Water from within the unit that has not turned into steam can be used for hot water purposes. The boiler unit acts as a system for both hot water supply and other needs such as home heating. Minimal Maintenance – Since a boiler heating system does not require ductwork or air movement to distribute heat, there is no requirement for ongoing filter changes and annual maintenance demands are very low. There are also fewer parts to the system resulting in less expensive repairs/maintenance if required. Comfort – People in Ottawa love their boiler systems because during the heating months there is no warm air being blown into each room. Instead, heat radiates from coils placed within the home. This creates a very comfortable heating element (thing about a fireplace putting out heat) that is enjoyable for the residents within. There is also no warm air being blown around which can be uncomfortable for some people. Indoor Air Quality – With a boiler heating system, particulates are not pushed through the heating system resulting in airborne contaminants. Since dust and allergens are not continually redistributed into the air, an increase in indoor air quality will be experienced. Heats Your Home And Your Water – With a boiler system in place in your home, there is no need for an additional hot water heater to be installed. This reduces repair and maintenance since there is only one system to deal with (or purchase). Operational Noise – A forced air furnace creates quite a bit of noise in two areas. One is from within the ductwork when air passes through. The second is at the actual forced air furnace heater where the blower and motor operate. With a boiler, the noise level in your home is significantly diminished. Many people who have a boiler in their home do not notice when the product is operating. Installation Location – Many of our boiler products have added features such as frost protection built in. This allows for additional installation location options when having a new boiler installed in your home. You can often utilize and reclaim space that was previously used for a boiler system due to wall mounted compact designs. This is also great for people who are looking for more storage space in their home. Efficiency – Forced air furnace systems provide a greater efficiency than boiler counterparts. This results in a reduction in your utility bills and is the number one reason that people choose to have a furnace installed over a boiler. Initial Cost – A new furnace heating system is less expensive to install over a boiler heating system. If you would like to learn more about our Ottawa furnace products, please visit our furnace page using the menu above (under the heating tab). We offer our services to the Ottawa Valley including Ottawa and Pembroke. At AirZone, our approach is simple; provide the best customer service possible from an HVAC company backed by a quality you can trust guarantee. We specialize in home heating and cooling services and have built a solid reputation in the area to due to our attention to customer service. We provide boiler services to both residential and commercial clients located within our coverage area. 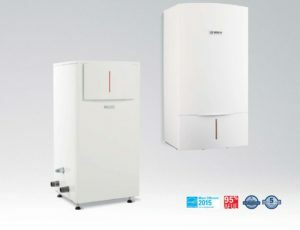 We provide free no obligation estimates for new boiler products. If you have a question about the boiler services that we offer, we encourage you to contact our friendly team. We are here to answer your questions about which heating system is right for your home! Alongside our major Boiler services, we offer a number of accessories to enhance your heating system. Speak with us about the accessories available for more information about if these products are right for your home. Popular accessories include a smart thermostat that is designed for boiler use, a floor stand if you would like a freestanding boiler unit versus a wall mounted installation, and other boiler controls and modules. We also supply and install boiler repair products to ensure you system is working at it’s best. Trust the experts at AirZone HVAC Services for all of your boiler accessory needs.